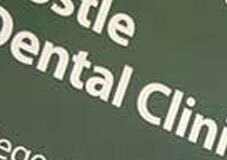 Dental exams, x-rays, and hygiene in the Doylestown clinic and referrals to volunteer dentists' offices for treatment. Dental services are provided by appointment only and clinics are set up according to the availability of volunteer dentists and hygienists. Unfortunately, not able to respond to dental emergencies and care is limited to urgent dental needs only. To be screened for a medical or dental appointment, call 215.345.2260 and select #2. Please call during business hours, Monday - Friday, 9:00am to 4:00pm. Unable to provide screening, discuss a medical condition or make appointments by email. - Before-tax household income within 250% of the Federal Poverty Level ($28,725 for one person, $38,775 for two in the household, etc.). They consider the total income and assets from all sources for all persons living in the household, whether or not they are related to the patient. Patients with household incomes within 200% of the Federal Poverty Level ($22,980 for one person, $31,020 for two persons, etc.) are eligible for all services at no charge, although they may be asked to purchase low-cost generic medications, if required to treat their condition. Patients with household incomes between 200% and 250% of the Federal Poverty Level are eligible for free medical and dental visits. These patients apply to Doylestown Hospital for charity care to cover the cost of testing and are responsible for the cost of their medications. Finding dental costs for procedures is difficult. We created this section so users of our website can see what others have paid for dental treatment at Ann Silverman Community Health Clinic. Do you know how much Ann Silverman Community Health Clinic charges for services? Attention We cannot guarantee the dental costs to be completely accurate. They are displayed for informational purposes for our users. We have compiled prices provided by users and online research. In order to obtain actual costs please contact Ann Silverman Community Health Clinic directly.